This post is sponsored by JCPenney. As always, all opinions at mine. This fall, don’t be afraid to upgrade your wardrobe with versatile hues ranging from subtle to bold colors. Incorporating bold colors to work and daily styles this fall is a choice that will set you apart in the crowd. 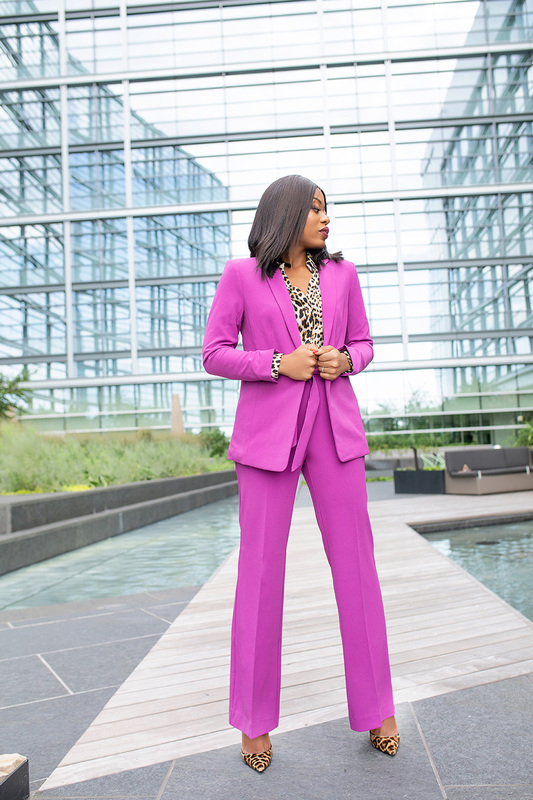 Bold pieces like this JCPenney suit set is a must-have and definitely a statement piece. The pieces are amazing and makes it worth my time and money. Shopping at JCPenney, I know that am guaranteed to find styles that are priced to buy and that I will love. JCPenney has a variety of on-trend pieces at great price points. 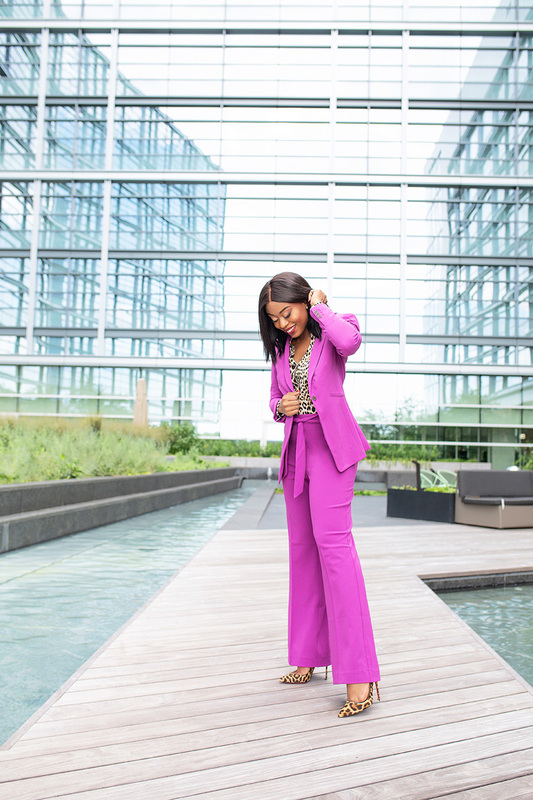 I picked up this bold Lavender Worthington blazer and tie front wide-leg pants at an affordable price of $39.99 and $29.99. The quality and fit are amazing! This outfit is a look I can wear from work to event. 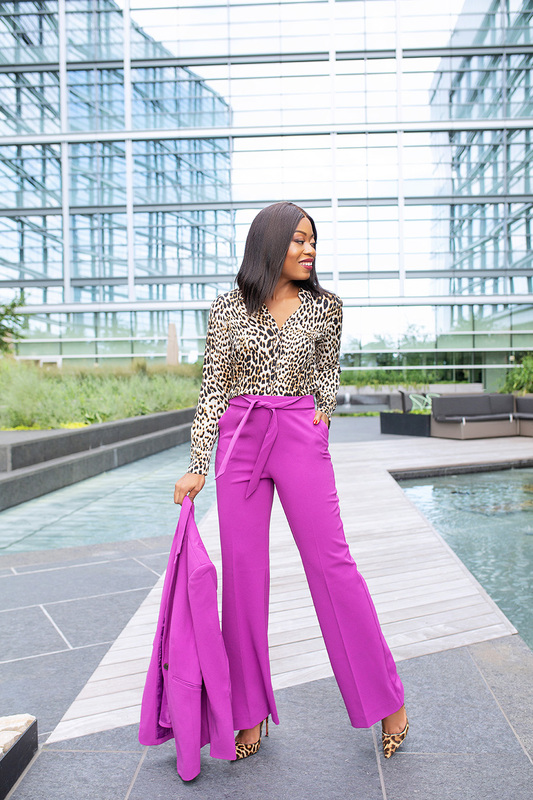 The wide-leg pants makes for an easy summer to fall transition. JCPenney offers a variety of stylish and affordable fashion in addition to broad assortment of products from leading private, exclusive and national brands. 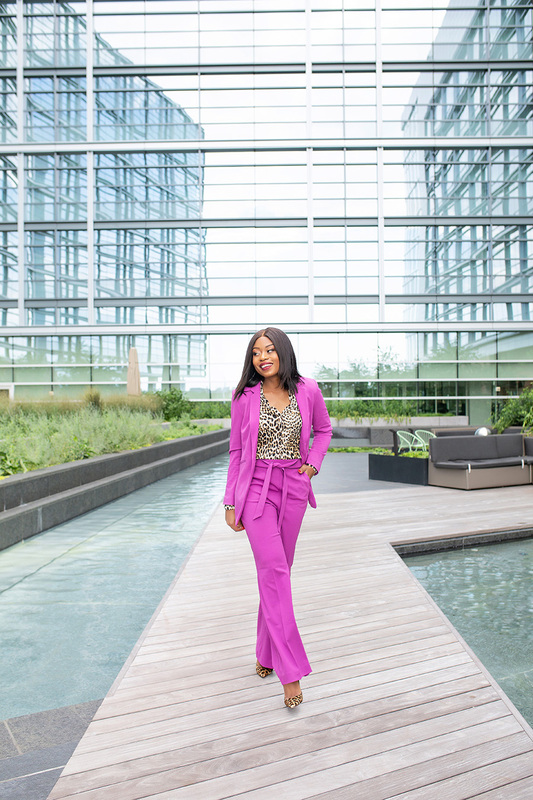 Besides the Worthington blazer and pants set, I also bought this Worthington V-neck leopard print blouse to style with the bold colored suit. Animal print is huge this fall and what better place to snag this pair at great price for $19.99. With animal prints this fall, you will definitely set yourself part in the crowd. I love bold and unique pieces. 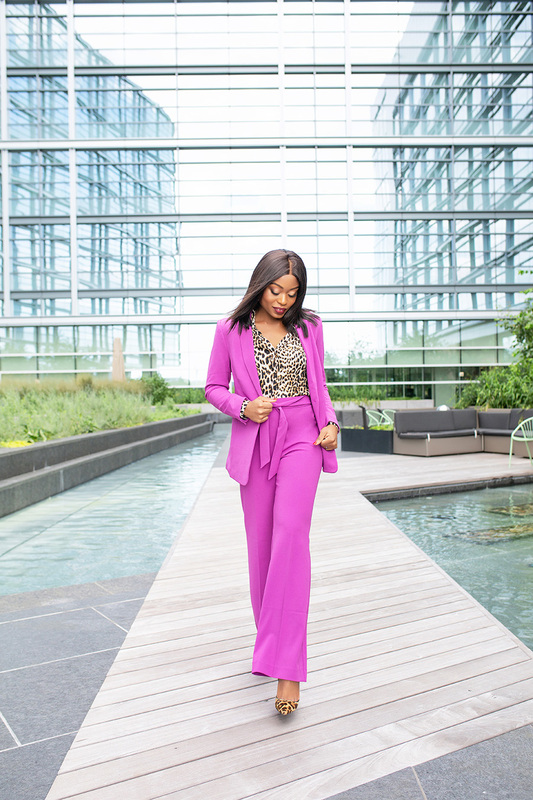 Combining the bold colored suit and animal print creates a unique look and definitely a look that will stand out. The leopard print shirt can also be styled separately with jeans for those casual work days and weekends. JCPenney is the destination for a variety of stylish and affordable fashion and home decor merchandise. It offers incredible style and value for all, making it easy for families to discover items to love for less time, money and effort. Make sure to visit JCPenney stores or online to shop everything from family, beauty and home decor. I am looking forward to picking up more fall pieces for work especially these ankle plaid pants and red pants, and holiday home decors in time for the Christmas.